Kaliningrad Stadium nearest airport is Khrabrovo International Airport and it is the airport of Kaliningrad city. This airport is located on the northern side of Kaliningrad city near the Khrabrovo village. This airport is situated at the distance of around 24 kilometers from the stadium. If you are traveling by road then you will require around 30 minutes to complete this journey. There is train connectivity available from Khrabrovo airport to the stadium. Train journey requires around one and half hour and it costs you 100 Russian Rubles. Koenigtransauto’s city bus line No. 144 connects the Kaliningrad Main Bus/Railway Station with the Khrabrovo airport. Address: Khrabrovo Village, Guryevsky district, Kaliningrad region – Russia, 238315. Menu Recommendation: Butter Chicken, Chicken Tikka Masala, Mango Chicken, Fish Curry, Lamb Rogan Josh, Samosas etc. 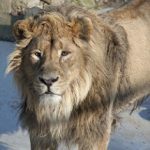 Hello friends, This post is about Paignton Zoo prices, its opening times, animals list, map, location, reviews etc. Paignton Zoo is one of the most visited animal park located in England. This huge 80-acre zoo is the adobe of around 2000 animals of 300 different species. They cultivate more than 1600 plant species. It is owned and maintained by Whitley Wildlife Conservation Trust (WWCT). This one of the oldest zoological parks is an ultimate destination to spend a day with your family and friends. This Zoo offers Zooper tickets. These are the discounted tickets for the entry of Paignton Zoo and Living Coasts, Torquay's coastal zoo and aquarium. Apart from this Zooper tickets, they do not provide any other discounted tickets. Note: Last admission is allowed at 5:00 PM. Note: Last admission is allowed at 4:00 PM. There are more than 2500 animals of around 300 species are adopted by this zoo. In this zoological park, you can also see more than 1600 plant species. 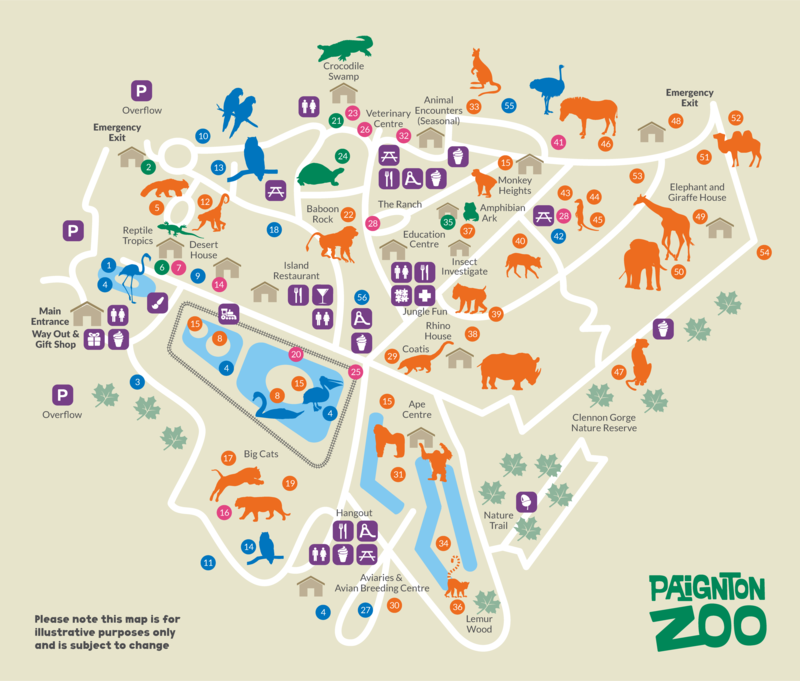 Following is the list of animals available in Paignton zoo. 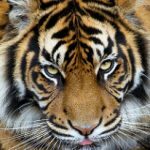 Big Cats: Asiatic Lions, Sumatran Tigers, Cheetahs, Snow Leopards, Lynx etc. Birds: Southern Cassowary, East African Crown Crane, Red Crowned Crane, Diamond Dove, Wood Duck, Emu, Chilean Flamingo, Greylag Goose, Scarlet Ibis, Swainson's Lorikeet, Great Grey Owl, Yellow Headed Amazon Parrot, Blue Peacock, Dalmatian Pelican, Toco Toucan, Red-Crested Turaco, Golden Pheasant, Common Shelduck and many more. Reptiles: Burmese Python, Boz Constrictor, Saltwater Crocodile, False Ghariyal, Tokay Gecko, Reticulated Python, Aldabra Giant Tortoise, Parson's Chameleon etc. Other Wild Animals: Grey Gibbon, African Elephant, Bactrian Camel, Eastern Bongo, Hamadryas Baboon, South American Coati, Northern Giraffe, Red Ruffed Lemur, Sulawesi Crested Macaque, Diana Monkey, Red Panda, Kangaroo, Black Rhinoceros, Golden Lion Tamarin, Brazilian Tapir, Zebra, Wolf etc. 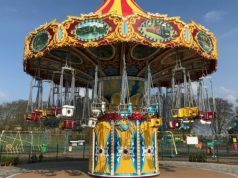 Address: Totnes Rd, Paignton, United Kingdom Postcode: TQ4 7EU Contact Number: 01803697500 Information: This zoo was built in the year 1923. It was developed by Herbert Whitley as his private collection of a zoological and biological garden. This zoological park was redeveloped in the year 1955. Paignton Zoo is the proud member of the World Association of Zoos and Aquariums (WAZA), the European Association of Zoos and Aquaria (EAZA) and British & Irish Association of Zoos and Aquariums (BIAZA). It was honored by TripAdvisor as the 3rd best zoo in the United Kingdom and 9th best in Europe. Flamingo lake present inside the zoo is one of the best attraction available here. Welcome to all travelers. There are more than 65000 Indian origin people lives in Birmingham. If you are in Birmingham and searching for the best Indian restaurant in Birmingham then this article is for you. In this post, you will get to know about some of the most popular non-vegetarian and vegetarian Indian restaurants available in Birmingham. 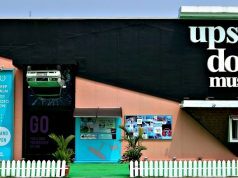 We assure you these places will be an ultimate destination for Indian food lovers. Aqua Park Kuwait is one of the most crowded amusement parks present in Kuwait city. This is the perfect place for adventurous and thrilling activity lovers. This water park is located on the Arab Gulf Street just next to world-famous Kuwait Towers. It is the first water park in the Gulf countries and one of the biggest in the region. Aqua Park of Kuwait city is an ultimate destination for locals and tourists to spend some quality time with their family and friends. If you are staying in Kuwait city then we suggest you visit this wonderful amusement park before leaving the city. This visit will be a memorable experience for you. Dudley Zoo Prices / Admission Fees are different for Adults, Senior Citizens and Youth. Entry is free for a child below 3 years. Dudley Zoo provides the huge discounts on admission fees for students. Following are the details about Dudley zoo prices with a donation and without a donation. Buy Tickets Note: Student card is mandatory for students. Proof of disability is required for disabled adult and child. Companion is required with the children below 14 years. Always keep your age proof with you. It may be required at the time of entrance. If you want to do a commercial photo shoot or video recording then you have to take prior permission for it. Dudley zoo remains open on all weekdays except Christmas day. Public holidays and festival season may affect the timings. You can visit this wonderful zoological garden at any time of the year. But it will be more pleasant during summers. Always keep your sunglasses, water bottle and cap with you. We suggest you wear soft shoes because it takes around 3 to 4 hours to explore all the attractions of a zoo. Dudley Zoo is one of the most visited tourist places present in Birmingham. This is a man-made abode of more than 1300 animals. 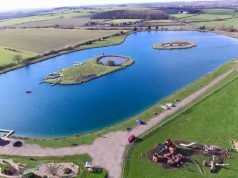 Ultimate zoological garden situated near castle hill of Dudley. It is a great place for all age people. We can easily spend some quality time with family and friends. A large number of wild animals are the special attraction for kids. The zoo is one of the favorite one-day picnic places for local residents. Every Sunday thousands of footfalls are recorded here. The surrounding lush green garden with the pleasant environment gives you an incredible experience. This 8-decade old zoological garden was opened in the year 1937. The zoo was built by William Humble Eric Ward, the Third Earl of Dudley. In 1930’s he decided to create zoo near his castle. This castle is known as Dudley castle. Construction of zoo was started in the year 1935. In 1936, Oxford zoo had sold their collection of animals to Dudley zoo. There are total 13 zoo buildings which were designed by architect Berthold Lubetkin. Engineering work was done by Ove Arup. Zoo recorded a huge success on its opening day. There were around 50,000 visitors visited this zoological garden on its opening day. In the year 1938, toy train kind of small miniature railway was built by G & S Light Engineering. In 1978, it comes under the Dudley and West Midlands Zoological Society charity group. Not it is run by this society. There are more than 1300 animals are present in this zoological garden. 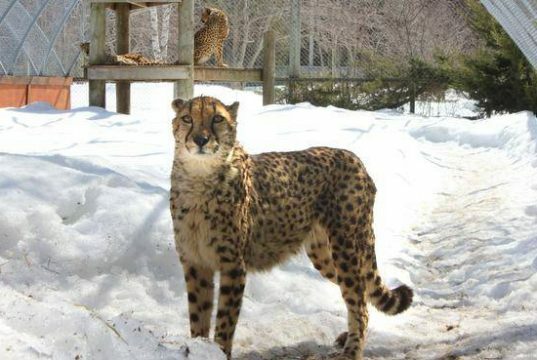 Big cats like Asiatic Lion, Sumatran Tigers, Snow Leopards and Lynx are attracting visitors in large number. The beautiful Red Panda, Asiatic Bear, Giraffe, Kangaroo, African Hunting Dogs, Yellow Mongoose, South African Porcupine, Sea Lion, Brazillian Tapir are some of the rare species of mammals which can be seen here. There are numerous species of reptiles present in the reptile house. Carpet python, Milksnake, Garter Snake, Bornean Blood Python, Californian Kingsnake, Brazillian rainbow boa, Giant Asiatic Turtle, Philippine Lizard, Chinese Water Dragon, Iguana are some of them. There are more than 18 species of primates are adopted by the zoo. Collared Lemur, White-faced Saki, Ring-tailed Lemur, Yellow-breasted Capuchin, Colombian black spider monkey, Marmoset, Red-ruffed Lemur, Macaque are some of the primates which entertain children lot. Dudley zoo is an ultimate destination for bird watchers. Birds like Mandarin Duck, Rainbow Lorikeet, Partridge, Yellow-backed chattering lory, Indian blue peacock, yellow-shouldered amazon, Flamingo, Snowy owl, Pheasant, Violet Turaco, Satyr Tragopan, Kookaburra, Monal Himalayan Pheasant, Java Sparrow, Little Egret etc. can be seen here. Address: Castle Hill, Dudley DY1 4QF, West Midlands, United Kingdom. This is one of the most favorite rides of visitors. It was built between zoo entrance and the Dudley castle in the year 1958. This was the first passenger ropeway of England. 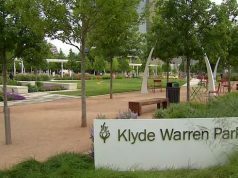 In 2000, it was closed by authorities due to health and safety concerns. But in the year 2012, it was reopened to the public. This is the perfect place to capture the panoramic view of Birmingham. The small miniature train which carries around 150 people. It runs in the park from 10:00 AM to 4:30 PM. You can explore all the attractions of a zoo with this toy train journey. 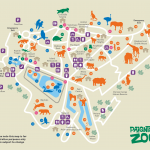 How To Reach Dudley Zoological Garden? By Road: Dudley bus station is the nearest bus station from the zoo. It is situated at the distance of 0.9 miles from the zoological garden. It takes 5 minutes to reach here. Monaco Car Museum is one of the most visited tourist attractions in Monaco. This heritage museum is also known as Monaco Top Cars Collection Museum Or Monaco Motor Museum. This world-class museum is famous for some rare and vintage vehicles. It is basically personal cars collection of Monaco’s prince, Prince Rainier III. This classic cars collection was opened for public in the year 1993. This museum is an ultimate destination for Formula 1 fans and car enthusiasts. If you are car fan and staying in Monaco then do not miss the lifetime chance to visit this place. This will be a memorable experience for you. Doha, the capital city of Qatar is among top 100 tourist cities in the world. Every year millions of travelers come here to spend their vacations in this wonderful city. There is the number of tourist attractions are available to make your trip special. But Museum Of Islamic Art Doha Qatar is the main and most visited tourist place among all. It is also well known as Modern Islamic Art Museum. This Islamic architecture is one of the world’s best collections of Islamic art. It was built in the year 2008 by the Qatari government.